Its pretty clear that James shags pretty much anyone he is partnered up with in any show he has been on..
Maybe it`s written into his contract. Is Sarah and James Stewart dating? Summer loving! Home and Away's James Stewart confirms romance with co-star Sarah Roberts as they share a tender moment by a bin in Byron Bay. ACTOR James Stewart certainly has a type. The Home and Away star has taken his relationship with co-star Sarah Roberts public. The two, said to have been dating since October, were spotted looking loved up while on holiday in Byron Bay. Roberts plays biker chick Willow in the Channel 7 drama. However, this isn’t the first time 42-year-old Stewart has dated a co-star. In 2016, Confidential revealed Stewart was dating Home and Away’s Isabella Giovinazzo. And previously, Stewart was engaged to Packed to the Rafters co-star Jessica Marais. The two have a daughter together, Scout, 5. Last edited by Pantherboy; 09-01-2018 at 21:09. Home And Away's Sarah Roberts reveals her surprise romance with James Stewart. When TV WEEK first met Sarah Roberts last year, her life was completely different. The actress had just moved to Sydney from Melbourne and made her debut in Home And Away. Not only that, but she was recently single after a nine-year relationship and looking for love. In fact, she welcomed any opportunities to find "The One". Little did Sarah know, the man of her dreams was waiting for her on the sands of Summer Bay in the form of her H&A co-star James Stewart. "I know – I found it [love]!" she grins as we point out this happy fact. Just weeks ago, the actress and DJ pleased fans when she took to Instagram to confirm that she and James were officially a couple. The pair have been together since August last year. "We started dating around the time of the Conor McGregor fight [against boxer Floyd Mayweather]. It's pretty funny that's how I remember it," Sarah laughs. While most new couples are quick to profess their love in public, Sarah and James, 42, opted for a low profile. "We just wanted to be respectful of everyone and stay under the radar," she explains of their decision. "When it started happening, we wanted to keep it all separate from work." Presumably, James is also mindful of his five-year-old daughter Scout, who he co-parents with his ex-fiancée, actress Jessica Marais. However, the loved-up couple also wanted to stay in their bubble a little longer. "It's hard sometimes and a bit strange that people are so interested in your private life, but it comes with the job," Sarah concedes. "We just wanted to keep things special between us. It's beautiful." 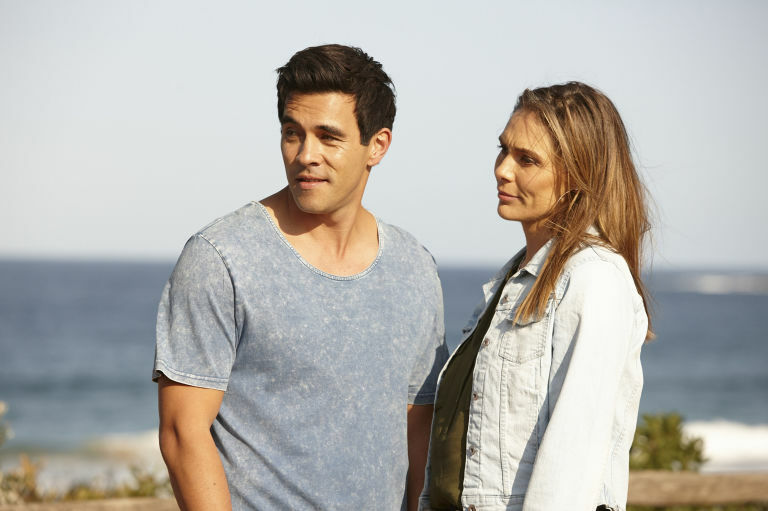 Home and Away's Willow Harris is hit with a blast from the past when the River Boys return to Summer Bay later this month. Although the Braxton family are now long gone from the Bay, their old surfer gang will soon be arriving back in town under the new leadership of Dean Thompson (Patrick O'Connor). Ash (George Mason) is responsible for bringing the River Boys back when he needs help tracking down Robbo following Kat Chapman's tragic death. With Ash out for revenge, he asks Dean to get his guys focused on the job of finding Robbo – knowing that it'll be like finding a needle in a haystack otherwise. As the River Boys begin to make their mark on the Bay, it's clear that Justin Morgan's girlfriend Willow (Sarah Roberts) already knows Dean when they recognise each other. After a short catch-up, Dean hopes they'll cross paths again, but for Willow, Dean seems more like a problem that she's got to deal with. But is it only a matter of time before she falls for his charms? 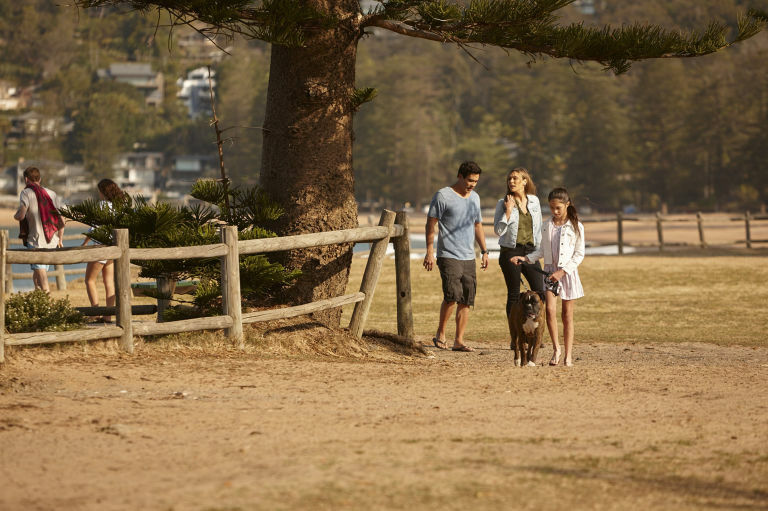 Home and Away airs these scenes on Tuesday, March 20 at 1.15pm and 6pm on Channel 5. 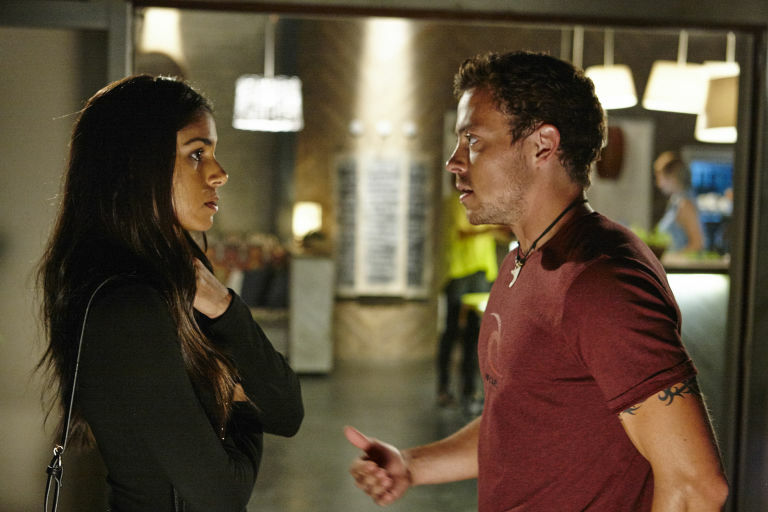 Justin surprises Willow With His Shocking News. While things look to be heating up for Mason & Jasmine, it seems another relationship could be heading for trouble in Home and Away this week. After a rather rough start to their relationship, Willow (Sarah Roberts) and Justin finally have found stability. "Willow has changed her life around since arriving in the Bay," Sarah says. "She likes where she's at in her life." But the couple's strength is tested this week when Justin's ex, Nina (Zoe Naylor) and their daughter, Ava (Grace Thomas), make a surprise visit. It seems Justin neglected to tell Willow he had a child. How could he not tell her about such a big part of his life? Fans will recall Ava first showed up in the Bay in 2016. At the time, she bonded with her father's then fiancée, Phoebe. After Phoebe left, Ava got to know Justin's new girlfriend, Scarlett. But will the youngster warm to her father's latest partner? Of course, it may depend on how much time Ava spends in the Bay. In the meantime, Willow & Justin's relationship is increasingly strained as Willow tries to process the information. For her part, she's hoping to make the best of the difficult situation. But it's clear she's hurt Justin failed to share the important information. Could this latest revelation be what it takes to derail the couple's fledgling relationship? Elsewhere in Summer Bay, Willow receives another shock when she finds out more about Justin Morgan's past. The couple are loved-up one morning when Justin's daughter Ava arrives unexpectedly with her mum Nina. Nina has decided to bring Ava along for a month-long visit, without any warning or discussion beforehand. This is highly awkward for Justin (James Stewart), as he hasn't yet told Willow that he has a daughter and she can't believe he hasn't been open about such a big part of his life. Willow tries to make the best of the situation, but it's not long before she's spending time with her old flame Dean. Is there still a chance of a new love triangle brewing in the Bay? Home and Away airs these scenes on Tuesday, April 24 at 1.15pm and 6pm on Channel 5. Elsewhere in Summer Bay, Willow Harris lashes out when Jasmine Delaney shows concern over her gambling problem. Willow (Sarah Roberts) gets busted by Jasmine twice over the next fortnight – first when stealing money from the till at the surf club, and later when trying to sell equipment from the gym online. 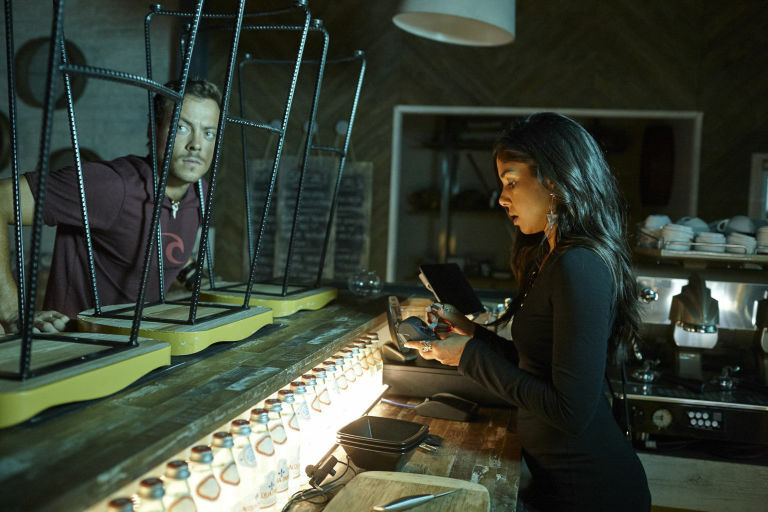 Worried that Willow is spiralling out of control, Jasmine (Sam Frost) tips off Dean Thompson that he needs to keep a close eye on his girlfriend before she gets herself into any more trouble. Unsurprisingly, Jasmine's intervention doesn't go down too well with Willow, who orders her to mind her own business in future. Not backing down, Jasmine sternly tells Willow that she needs to face facts and admit that she's a gambling addict. How will Jasmine react when Willow responds by slapping her across the face? 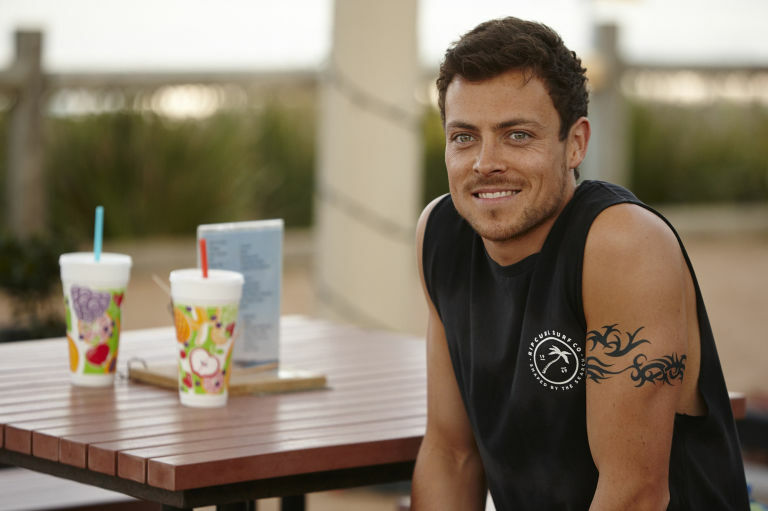 Home and Away airs these scenes on Friday, July 13 at 1.15pm and 6pm on Channel 5.